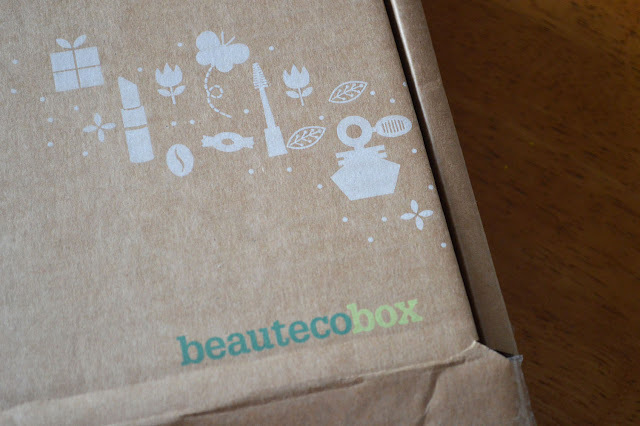 Beautecobox is the newest beauty box to hit the beauty atmosphere, a box with a strong Eco ethos. This statement is from the word go, the box itself houses the goodies inside keeping the packaging to a minimum. One big difference with Beautecobox which sets them aside from other beauty boxes is, having the power to chose! I've not seen this before amongst fellow beauty boxes. Traditionally it's been a secrete Santa style, which to be fair was exciting to begin with and still is but not so special when you feel disappointed with the products inside. Beautecobox allow you to have the option of 3 similar boxes which contain slightly different brands and products, I think this is a great concept and one which will take off. 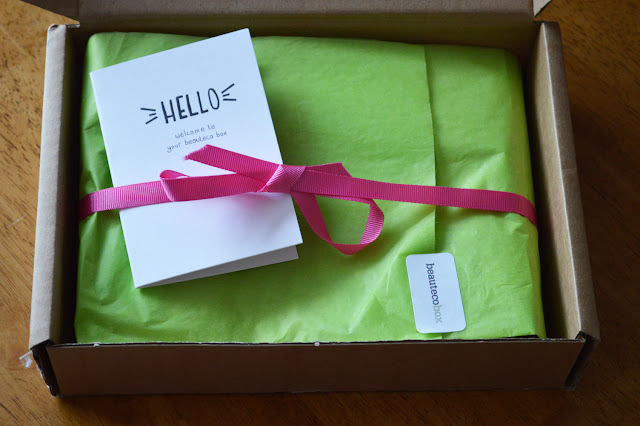 I really like the rustic vibrant mix of materials, the natural cardboard but yet a pop of colour thanks to the lime green tissue paper and hot pink shredded paper. 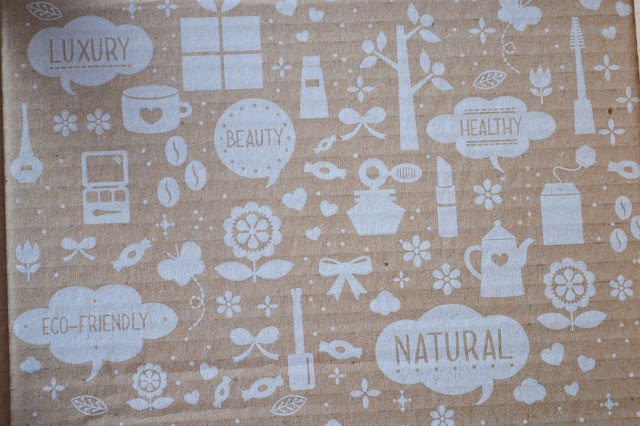 The inside lid has an array of cute beauty-esque doodles which I so happen to love! 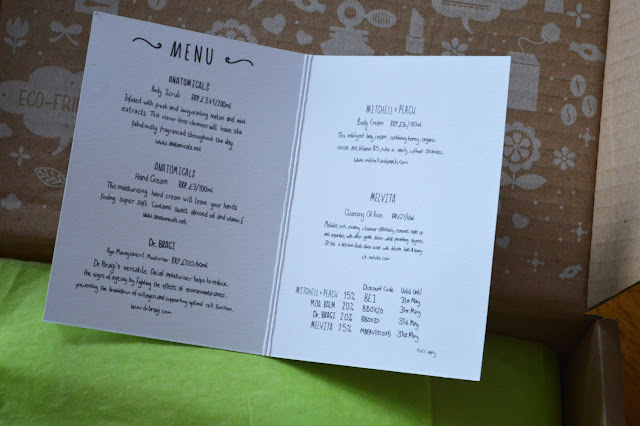 There's a printed mini menu card inside stating the products and a little sentence about them with discount codes. Each box contains 5 products, including 1 or 2 star products and 3 or 4 trial size samples. Beautecobox launches! May 3rd so be sure to check out their Facebook page and website for offers and competitions.